Susan is an ICF credentialed, certified professional career strategist and personal life coach, with an extensive background in career management and development, human resources management and operations. Susan’s professional background includes work as a Human Resources generalist in the professional and human development arena, in career transitions, as a recruitment and placement specialist for senior/mid-level and technical professionals, and executive recruiter in the private NGO/nonprofit sectors in the transportation, energy, education, communications, outplacement and manufacturing industries. Susan holds a Master’s degree in Organizational Behavior from Georgetown University and trained as a Certified Professional Co-Active Coach from the ICF accredited Coaches Training Institute. Vince is a certified executive leadership coach. He completed an ICF-certified professional training program in Leadership Coaching for Organizational Performance at George Mason University. His work includes: leadership development, coaching, and public affairs services for corporate and nonprofit organizations and their executives. Vince has more than 30 years of professional, managerial, and executive leadership experience in government, business, and public policy. As an executive leader himself, Vince has a long track record of leading high performing teams that produce results. He served as a Senior Vice President at Wachovia Corporation, and then at the PNC Financial Services Group, where he coached senior executives on how to effectively engage community stakeholders, lead industry coalitions and advance public policy initiatives that were important to the strategic success of the organizations. As an executive with the Business Roundtable, an association of CEOs of leading U.S. companies, Vince instructed CEOs on numerous engagement efforts that successfully achieved the organization’s strategic objectives. In addition, Vince worked on Capitol Hill as a senior staff leader for two key committees. Vince is a graduate of Eastern Michigan University with a Bachelor of Science degree in political science and George Mason University with a Master of Arts degree in economics. Jo-Anne Goldman Chase is an ICF certified coach. She excels at helping individuals, teams and organizations transform to achieve the goals they aspire to – from realizing their full potential as leaders, to improving bottom line results. Jo-Anne began her career as a broadcast journalist, and from the start has focused on people’s stories and how they influence decisions and direction. What Jo-Anne knows and teaches is that story is among the most powerful and overlooked tools for impact in the greater business environment. Jo-Anne’s own story is drawn from her leadership roles with both PricewaterhouseCoopers, one of the Big 3 consulting firms, and Navy Federal Credit Union the world’s largest credit union, where she has been a central contributor in creating numerous strategic programs. At a more personal level, Jo-Anne has coached and consulted with executives and aspiring leaders from a variety of industries including healthcare, financial, technology, not-for-profit and government. As her many clients and colleagues will attest, Jo-Anne is a no-nonsense, strong strategic thinker with a solid grasp of the blend between individual and organizational transformation and service delivery. Her passion for inquiry, analysis and interpretation has gained her valuable experiences resulting in the sought after ability to successfully aid others in reaching their peak performance. Jo-Anne earned a BA in Journalism and Political Science from the University of Wisconsin – Madison and a MEd from Harvard University in Cambridge, MA. Additionally she received her Leadership Coaching Certificate from George Mason University in Fairfax, VA, and a Women’s Leadership Certificate from the Center for Creative Leadership in Greensboro, NC. Maura is a certified executive and leadership coach who has been through it all: working with leaders within start-ups to national organizations. She has managed teams through mergers and buyouts, led teams through organizational change, and coached leaders through the renewal of organizational vision, missions and values, introductions of culture shifts and improved communications, among other personal and professional shifts. Maura’s no-nonsense coaching philosophy is simple: she actively listens and asks questions that make her clients think deeply and answer honestly. Together, Maura and her clients create action plans for lasting change. Maura earned a Master’s Degree in Education and Human Resource Development from The George Washington University. Maura is a graduate of James Madison University with a Bachelor of Business Administration degree, and earned a Paralegal certification from Georgetown University School of Continuing Studies. She is an active member of the International Coach Federation, American Society of Training and Development, and the Dulles Society of Human Resource Management. In addition, she is certified in a wide range of assessment and facilitation tools. 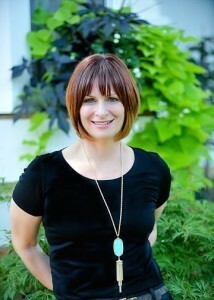 Lynette Burns has more than 20 years of corporate experience. She is a perceptive organizational administrator with expertise in identifying areas that require amendment, performing root cause analysis, developing solutions, gaining consensus from team, and implementing corrective actions. Lynette is qualified to provide guidance on cost reductions, best practices, continuous improvement, business ramp-ups, transitions, and incentive/recognition programs to enhance employee motivation and morale and offers a diverse background with a track record of improving processes, minimizing redundancies and inefficiencies, driving revenue growth, and surpassing quality and service levels. Lynette has an MBA and a BA in Finance from Walsh College.